Today we are making a bound welt pocket with a single lip. 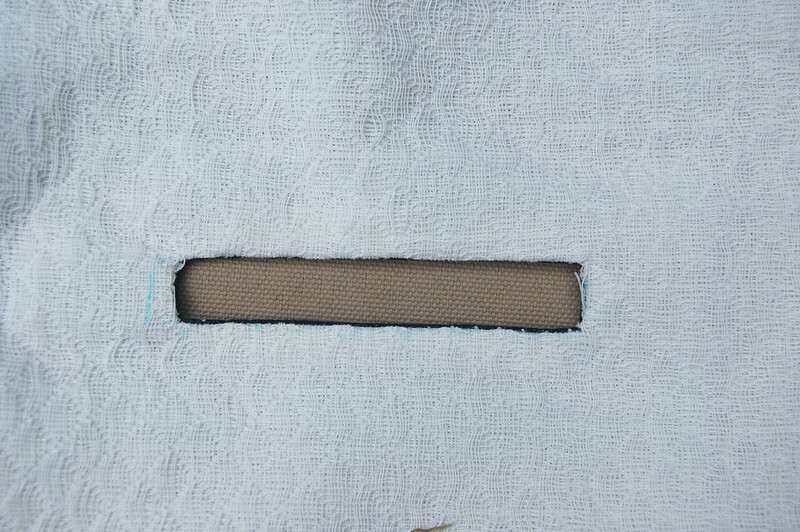 This method is actually a sort of a shortcut because we are using a single piece of fabric for the facing, lining and lips. 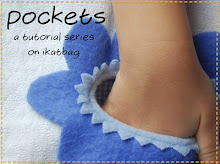 It is convenient but it is also limiting in that you are forced to have the same fabric for the outer, decorative part of the pocket (the lips) as the lining (which we usually prefer to be lightweight and undecorative). 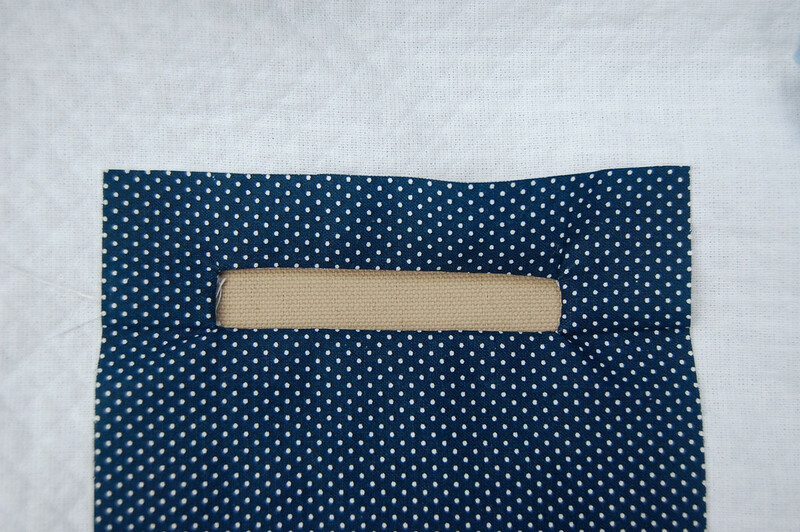 In a later post, we will demonstrate the un-shortcut method which allows more flexibility in fabric choice. Because this is the second time I am making the basic welt opening, I am going to omit a lot of the explanations. For more detailed instructions and photos on making the welt opening, see the earlier post here. I am using a piece that is a little over 9" long. It will be folded in half later to make the pocket pouch and the lip. 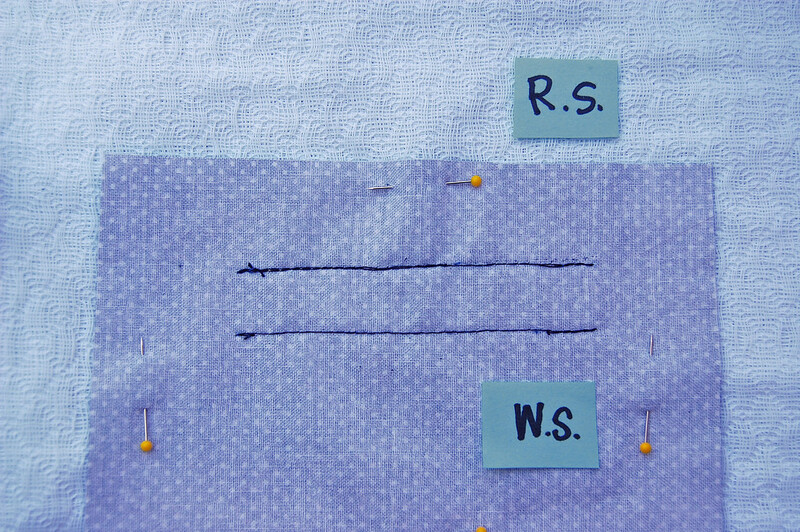 Flip to the wrong side of the garment fabric and sew the top and bottom edges of the welt opening. 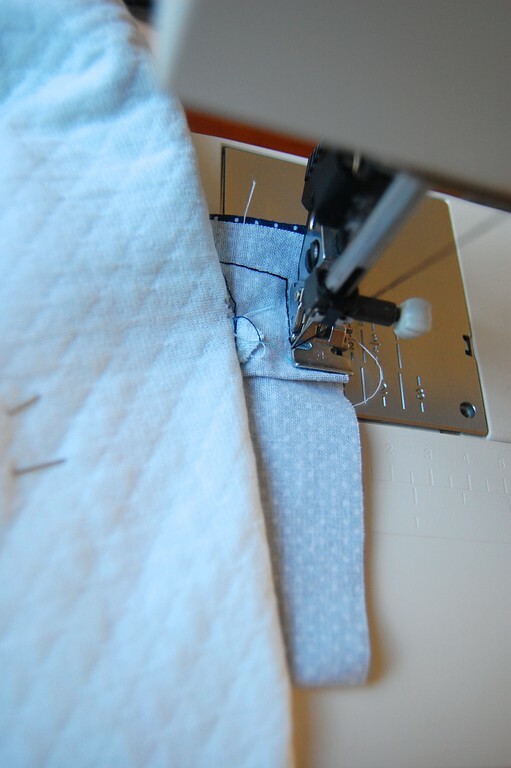 Usually this is when you sew down the little triangles at the sides to close the shorter edges of the welt opening. But I am delaying that step for now. 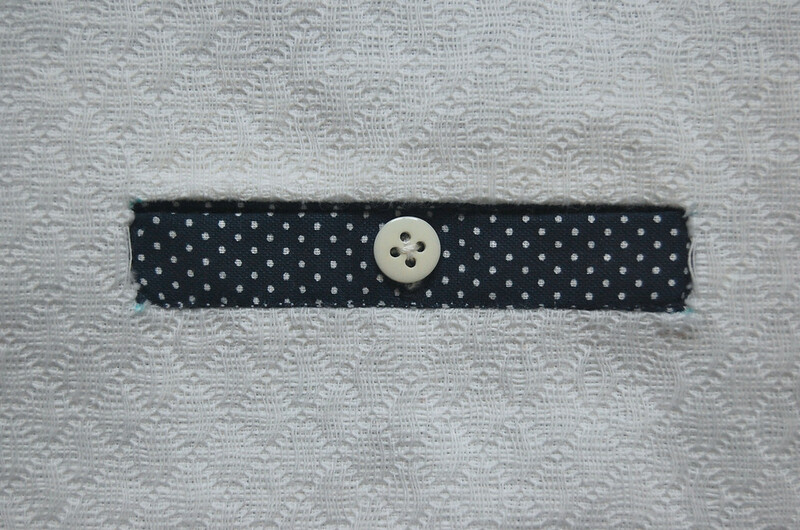 Flip to the wrong side of the garment - here is the welt opening seen from the back., with the polka dotted fabric being the facing. 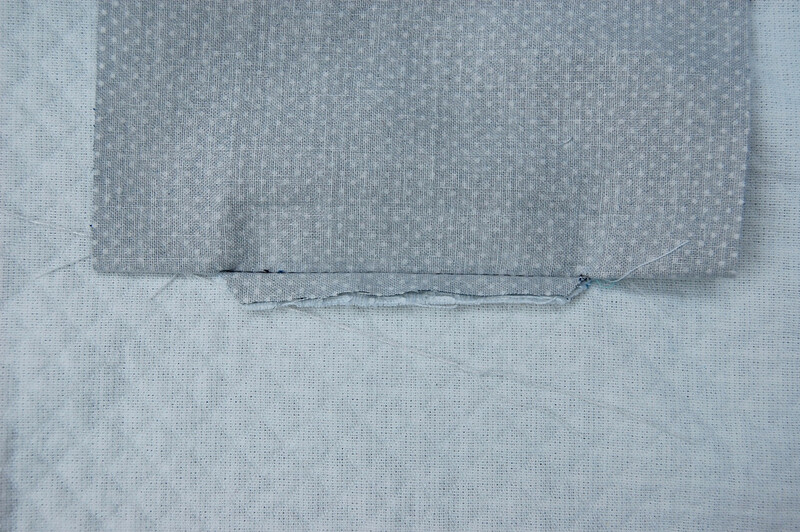 and fold it down again, so that its upper fold is at the level of the top edge of the welt opening. 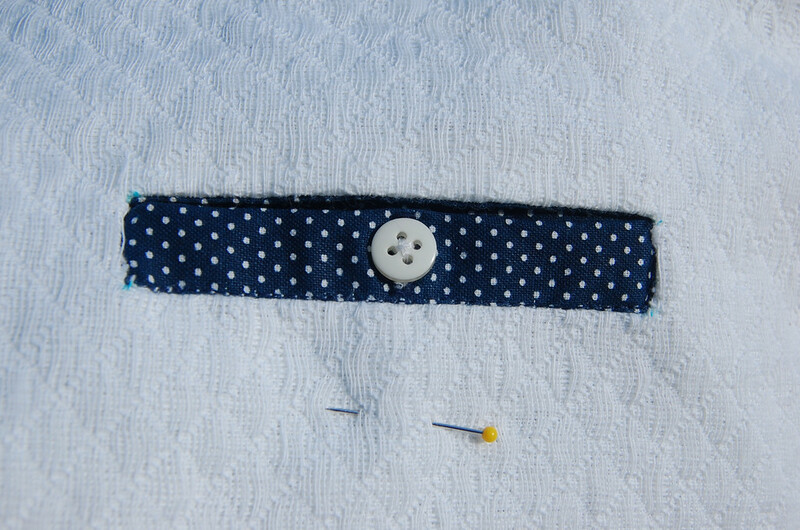 You've just made the single lip - and the polka dotted fabric is now the facing AND the lip. You might need to fiddle about with the fold to make sure the lip exactly covers the welt opening. If your fold is too low, there will be a gap at the top. 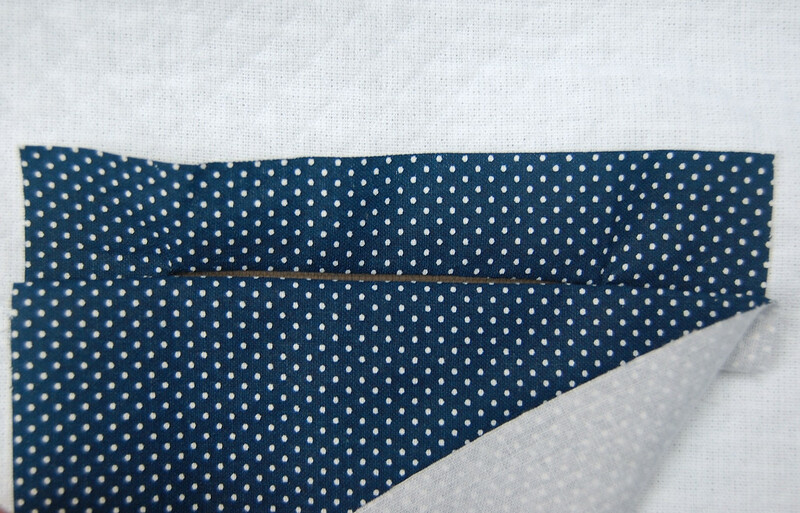 If your fold is too high, you will have scrunched up fabric at the upper corners. Carefully baste the lip in place to close the welt opening. 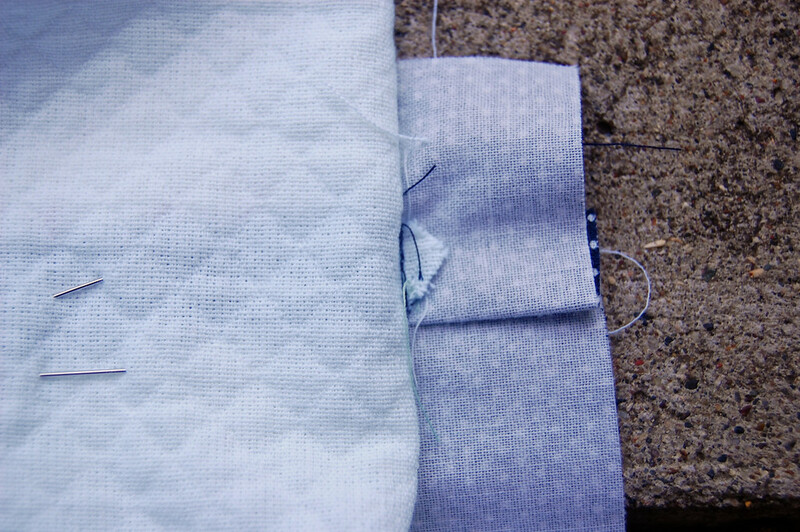 Now fold back the garment fabric to expose the little triangles at the sides of the welt opening, and sew them down onto the folded facing/lip fabric piece. 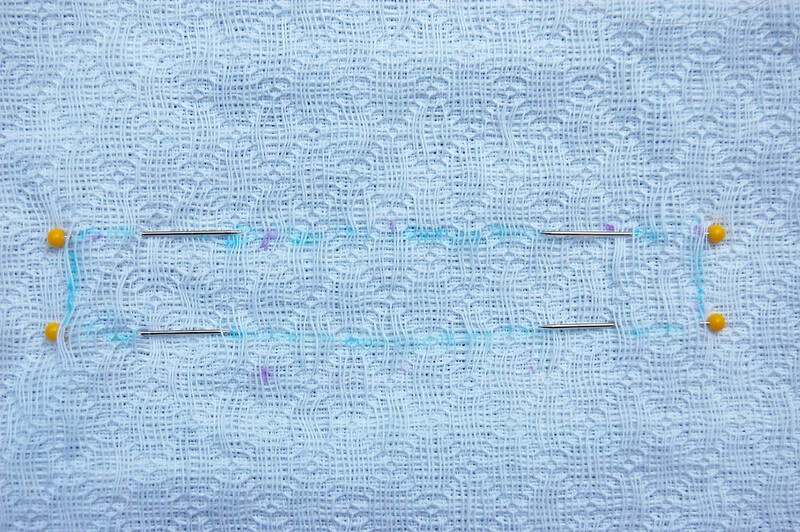 You may stitch-in-the-ditch along the bottom edge of the welt opening if you like. Or top-stitch around the entire welt opening if this is a more casual garment. Neither is necessary, really. I added a buttonhole in the middle of the lip instead. 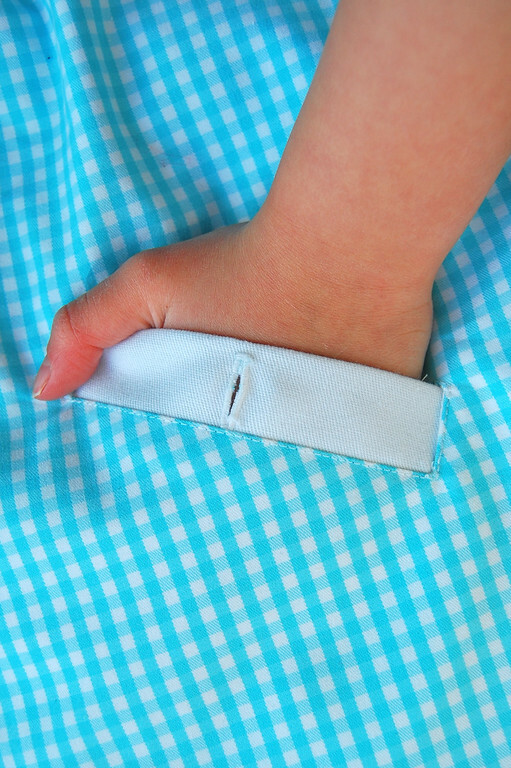 Flip to the wrong side of the garment, and fold up the fabric and pin in place. 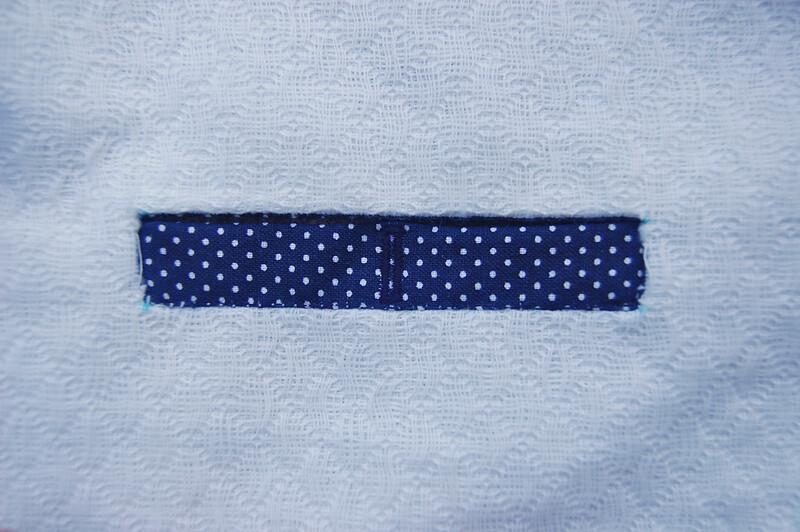 Now the polka dotted fabric is the facing, the lip AND the lining. Three-in-one! 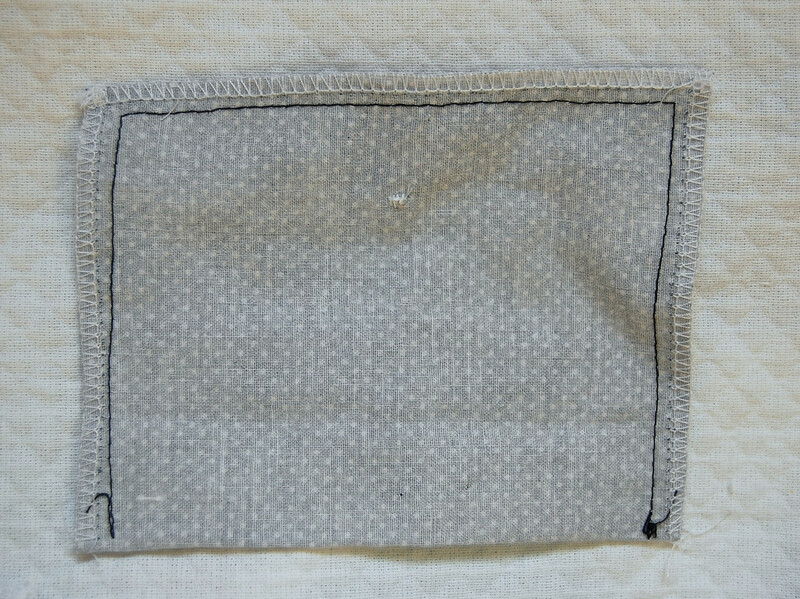 If you hadn't added the buttonhole-and-button, you can now sew up the top edge and two sides of this lining/facing pouch to complete the pocket. But we're going to delay that till Step 12 and sew the button on first. 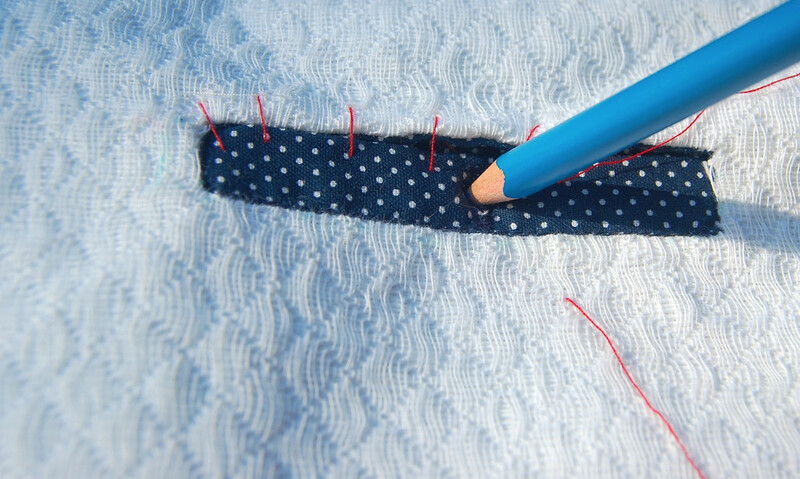 Cut open the buttonhole and mark the position of the button on the lining behind it. 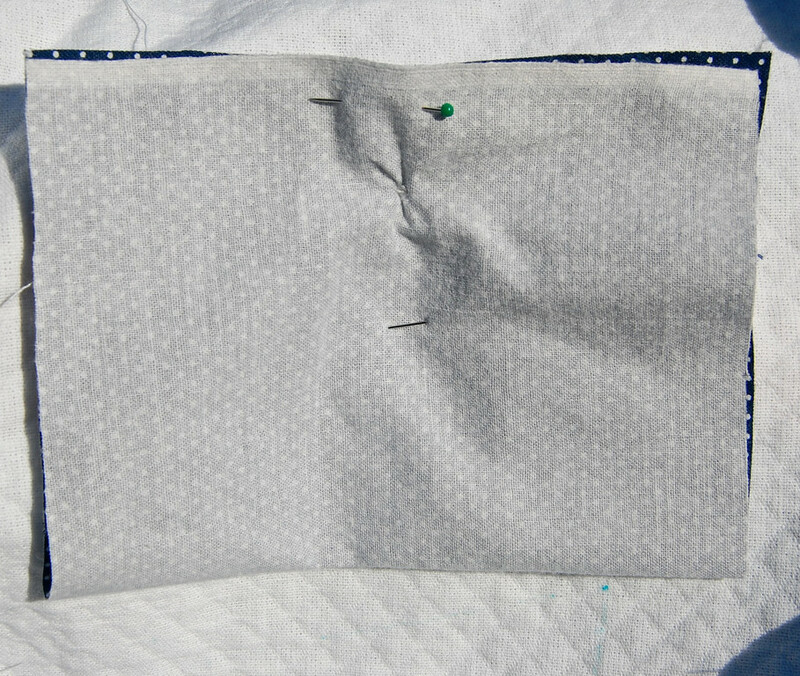 Unpin the lining, sew the button in place, and then fold it up and re-pin in place as in Step 10. 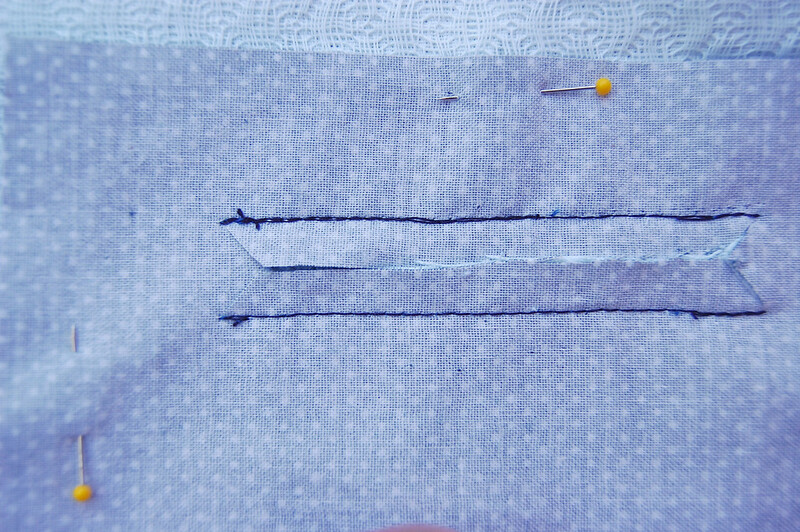 Now sew around the edges of the lining/facing to make the pocket pouch. This is the completed single bound welt pocket! 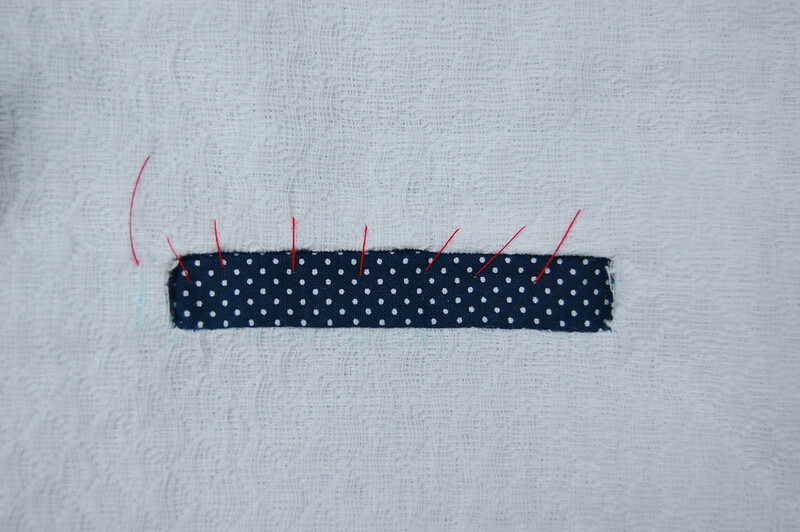 It was top-stitched all around the welt opening. Next: Same thing, but with two lips. Thank you for all your tutorials, your blog is a gem! I would love to attempt one of your dresses one day. 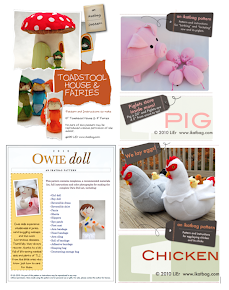 And I love your Owly dolls!! They are so sweet. Thank you so much LiEr. 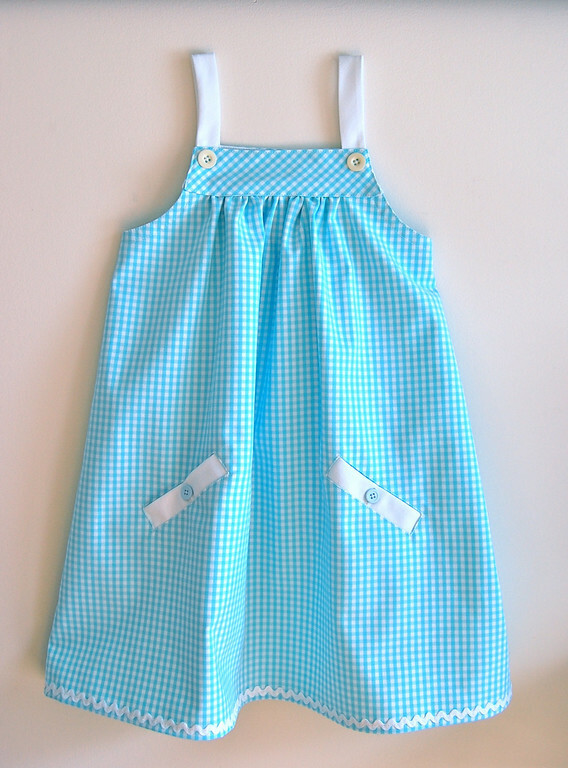 I tried this one on a vest for my son and it was so easy to follow. I had my doubts until I actually started working with the fabric and could have a hands on experience with the visuals. Thank you again! You're welcome, Rachel! I am glad it worked for you! I appreciate your tutorials and LOVE LOVE LOVE the pocket quilt. However... I'm questioning the formula for the cut pocket lining piece. 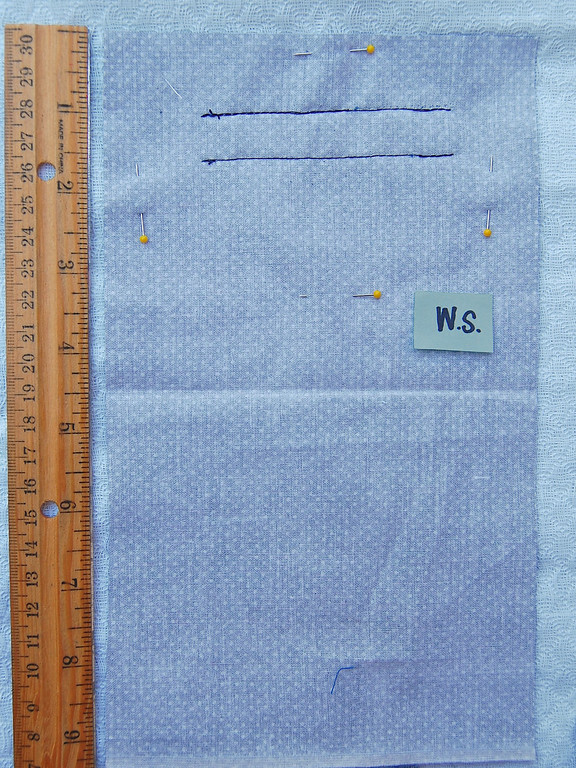 You stated, "Length = 2 x (final depth of pocket pouch + width of welt opening) + seam allowance." Why is it necessary to include the width of the welt opening in the formula for the length of the cut piece? Say, my width is 6" and I want a 4" deep pocket ... your formula requires me to cut a 20 5/8" length. Is that correct? 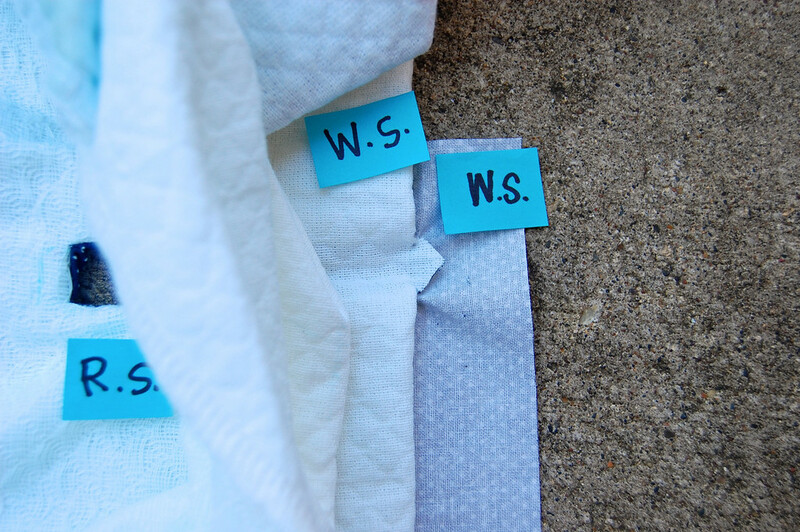 ok so I am secretly totally going to do this sans buttons to make a washi looking dress for my little one for easter... gonna use wonder under for different strips and then every here and there a "plinko" pocket (what I'm gonna call them tehehehe. I love you for your infinite kindness in these tutorials you do. So very useful I come back all the time :-) BTW,I did totally make a set of seven MLP skirts for azy as you're princess dress-up box inspired me then too. :-) much love, kat. Thanks for this tutorial. I just tried it and it worked beautifully. Now I can try it on some actual garments.